La Bestia means "The Beast". It is an idea that spawned from MAG's love for creatures and characters. He decided to include his friends art and produce their work as well. La Bestia Studio is a beast in its own, with the works of talented people coming together. 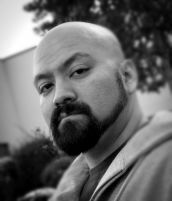 Miguel is a full time Visual Effects Artist for the commercial and film industry. He spends his spare time creating and designing creatures. He has taken his hobby of collecting a step further and decided to release his own collectibles.